You have to know when to quit. This also applies when you own a car. Sure, this might be a car problem, or a deer has jumped in front of your headlights in the middle of the forest. This makes people think that oil leakage is not a bad thing and smoking tailpipes do not mean that there’s something wrong with the car. 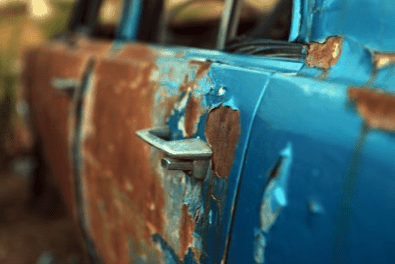 This article aims to let you know when is the right time to deliver your car on the junk heap that you often see on your way to work. Making the repair will be dangerous, pricey, and tedious for you or your family. This often happens to cars that are handed down by your grand grandfather. No offense meant to grandfathers out there. But if the rust is eating your car at an alarming rate, you may have problems with snow or sand later on. The fuel tank gets also a lot of grime. This can be very expensive to repair especially if the rear quarter has already been eaten off by rust. This is a term used for cars that run with not enough fresh fluids. The connecting rod bolts and bearings are trying to be free. If you are unfamiliar with the term, the rod knock might not be a problem with some people. Some does not take the issue seriously and they simply add additives. This will work until the day that you notice that your pistons were able to be finally free and charge at the end of your block. This is common to those cars which are hit by another vehicle. You might think that you are looking at a dissected human form but it was actually your car engines. If a vehicle accidentally plows you, you will have to spend a fortune restoring the front frame of your beloved car. Even if the car is successful, you will be able to tell that the engine is not running as smoothly as before. Another impact can literally “kill” your car for good. Don’t wait for it to happen though. Avoid any cars with damaged frames no matter what happens. They are more at home at dump sites and junk shops. If you see a family of mice making your engine their homes, you should start praying that there are no broken wires and hooks. The electrical issues may be hard to track but that is nothing compared to engines stopping in the middle of an expressway because the wire broke. The vermin gnaws on the wires because they just feel like it, which can lead you to unending phone calls to your mechanic and bankers. That can feel like a nightmare. When the gasket has blown off and it looks bad, all of the problems come up to the surface. The water and oil never mix and a cloud may form which is visible to all who happened to be on the area. This will need a new gasket as soon as possible. However, you might just be better off in getting a new car rather than wasting your time on blown gaskets.